Watching shoppers browse through the array of neatly packed healthy foods at an upmarket independent retailer north of Johannesburg, it may be hard to believe some of the rare organic produce comes from small communal lands in rural South Africa. Vegetables such as cassava leaves, okra, collard greens and jute mallow are relatively unknown in many South African households, but an enterprising small-scale farmer from Mpumalanga is determined to grow their presence. Siphiwe Sithole, 49, the founder and CEO of African Marmalade, started organic farming three years ago after she identified a gap in the market for authentic African food. Her produce has attracted the palates of health-conscious shoppers, reaching beyond the targeted market of African expats. "My plan was to provide African staples to African expats who struggled to find their favourite food in local markets," she says. The produce is grown organically in small communal lands in Mpumalanga province, but other products are sourced from a group of female subsistence farmers in Swaziland and Mozambique. "The land we work on is below a hectare. We grow pumpkin leaves, sweet potato and beans," she says. Some of the favourites, such as avocado, peanuts, cow pea leaves and cassava are imported. "Farming is challenging, and it requires patience and dedication. You must understand that the yield can be very small. That is why everyone who wants to get involved in production must have a passion for it," she said. "If you want to succeed in this field you must be prepared to take risks and work hard." Sithole quit her job in corporate marketing after receiving seed capital of $5 000 from a fund sponsored by the Tony Elumelu Entrepreneurship Programme. She then went back to her village in Mpumalanga to clear the family’s communal land and start growing her first crop. Her debut in 2015 coincided with the start of a severe drought that gripped many parts of the country. "The harvest was not impressive, but I persevered," she recalls. 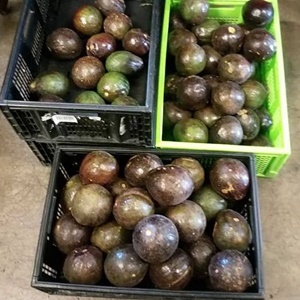 Once a week, produce is delivered to a number of independent fruit and vegetable markets in Johannesburg, including the upscale Jacksons Real Food Market in Bryanston, Randburg Wholesale Market and City Organics in Rustenburg. Other stockists of the products are restaurants. Although Sithole is coy about the turnover of her burgeoning business, the company has made significant growth in its short existence and employs six young people, apart from the rural farmers, who are her suppliers. By sourcing from subsistence rural farmers, African Marmalade has exposed their produce to bigger markets and provided them with much needed income. "I am trying to take African food out of the periphery into the mainstream, and show that people can use land not only to produce food for subsistence, but build a business from working the land," she said. Sithole’s traditional farming crusade saw her spend three months in a village in Swaziland to learn about organic vegetable farming from rural women. "The time I spent there was better than doing an MBA. It was so enriching to learn from these women, whose indigenous ways of organic farming has been passed down from generations," she said. The company’s long term goal is to venture into agro-processing and increase scale by acquiring larger tracts of land. "Agro-processing is key in expanding the shelf life of our products and broadening our market," she explains. She says she was blown away by the interest shown by young people in farming, adding she is now mentoring other young farmers who want to enter the industry. As the business grows, access to land has been become a pressing challenge, and Sithole believes that the ongoing debate on land reform should prioritise those who want to make productive use of land to boost food security. "Without land, there is no agriculture and most aspirant black farmers often struggle to get access to land. The redistribution of land is long overdue, it would ensure that those who want to work the land are not disadvantaged," she says.